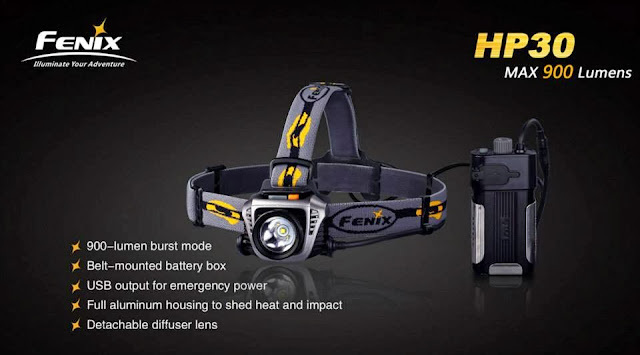 The flashlight manufacturers keep upping the ante on brightness and now Fenix is bringing 900 Lumens max output to a headlamp. The flashlight is operated off of a belt mounted battery pack utilizing two 18650 batteries. A USB connection provides for emergency power to any compatible device.